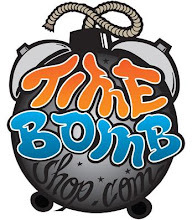 TIMEBOMBSHOP is proud to announce the newest brand to the TimeBomb collection The Hundreds. Now in its 7TH year, The Hundreds is a 2-part lifestyle project that houses both a clothing line and online-magazine. Co-founded by Ben and Bobby Hundreds in 2003, both ends of The Hundreds incorporate our trademark attitude and personal perspective on street subculture. The Hundreds apparel is inspired by LOS ANGELES LIFESTYLE / CALIFORNIA CULTURE and Southern California’s skateboarding, surf, punk, and hip-hop cultures. 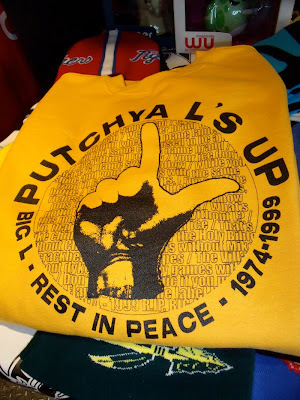 The design is also reminiscent of 1980s surf-culture t-shirts, independent skateboard company apparel of the 1990s, and the advent of “streetwear” at the end of the millennium. The line is comprised of graphic t-shirts, denim, wovens, fleece, outerwear, headwear, and accessories. Make sure to take the time to check out The Hundreds new at TIMEBOMBSHOP now! Come threw the Shadow Lounge tomorrow Friday February 11th to check out Black Milk [Detroit]. 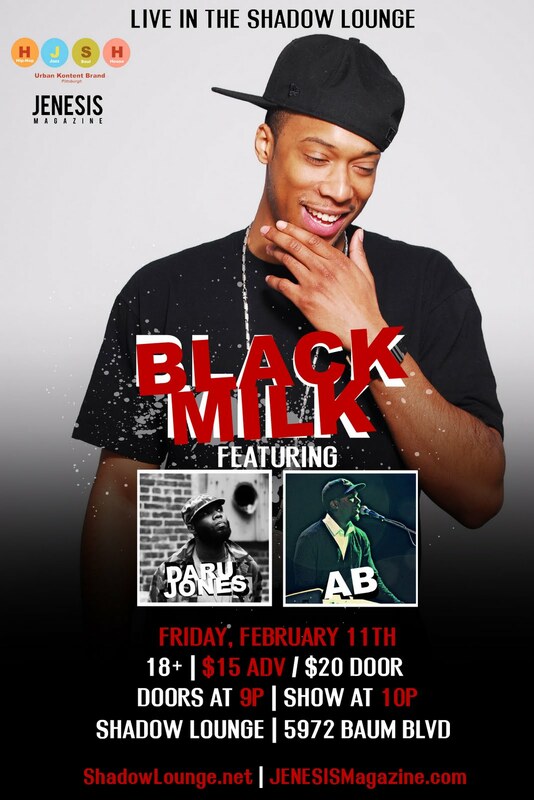 Along with him he has Pittsburgh's own Daru Jones on the drums and also a performance from AB. The show is 18+ and $20 at the door!! Better get there early I got a feeling this ones going to sell out. If you've never heard of him check out the video below and learn something. The "Gin Cup" has landed. 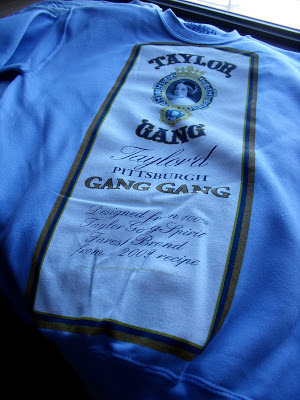 Local Pittsburgh clothing company farESH Brand dropped off the 2nd shirt to his Taylor Gang collaboration this afternoon. This design is fresh off the presses and is looking right! There is a limited supply available so make sure to grab your TEE or CREW today at TIMEBOMBSHOP before all the gin is gone! On Thursday, December 2, Brandon “DJ Bonics” Glova was rushed to a Pittsburgh hospital after experiencing extreme pain and discomfort in his shoulders and chest. Glova had returned home from a 60 city tour as the DJ for emerging hip hop MC Wiz Khalifa just two weeks prior, and despite being only 30 years old, he was having a heart attack. “I had never experienced such a combination of pain and fear. They called it a heart attack; I call it a harsh reminder of how sweet life is,” Bonics recalled. Since recovering from this life-threatening episode, Glova has created the Bonics Heart Beats Foundation, which will promote heart health and a healthy lifestyle specifically to adults under the age of 40. To build some momentum for the Bonics Heart Beats Foundation and further the cause, Glova has enlisted vitaminTHICK, a street lifestyle fashion company out of Boston, to collaborate on a special edition t-shirt design. The concept for the shirt, entitled “Kid@Heart,” is inspired by the importance of remaining youthful in both thoughts and actions, advice by which Glova now lives. The shirt design features a proud kid clenching a lunchbox by his waist. His silhouette, which is filled with an image of the universe, represents the endless possibilities and dreams associated with youth. The character’s oversized glasses are a playful reference to Glova’s signature style. Andrew Shedd, vitaminTHICK’s Creative Director, further elaborated on the project, “Fans and culture junkies alike often perceive talent like Bonics in a limited capacity in comparison to his true depth of character. Bonics' experience was a very human one, and the "Kid@Heart" concept captures that human element with a degree of warmth and sensitivity that really resonated with us. Responding proactively as he did with the intent to deliver a message that has such a genuine earnestness and positivity speaks to that depth of character in a way scarcely touted in mainstream media." 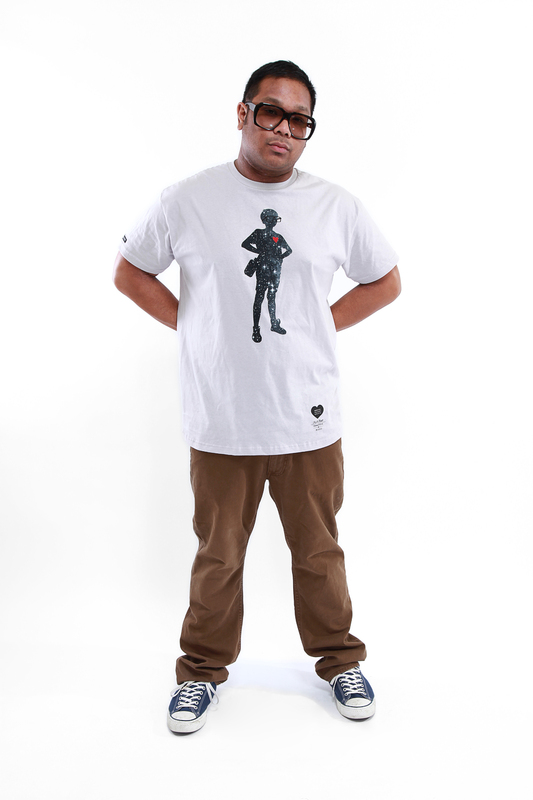 The Bonics and vitaminTHICK "Kid@Heart" collaboration t-shirt will retail for $26 and goes on sale this Valentine’s Day at 12pm eastern. It can be purchased online at TIMEBOMBSHOP, and in stores at Timebomb and Shop412 in Pittsburgh, and Bodega in Boston. 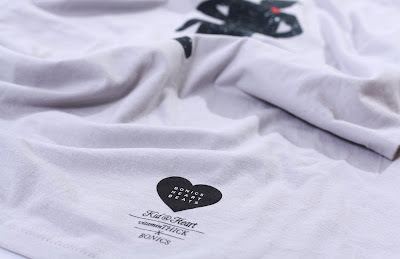 The proceeds will be donated in their entirety to the Bonics Heart Beats Foundation, and more specifically to supporting community events this spring, which will promote heart heath awareness and an active lifestyle. If you were in Pittsburgh on Sunday then you heard the cry of Steeler fans everywhere. It was a devastating loss followed by much drinking and yelling throughout our fair city. As Brick Diggler's dad told him when he was 9 years old "the Steelers will be back next year, they always come back". With that said GO PENGUINS! We're still the city of champyinz and have a lot going on besides sports. 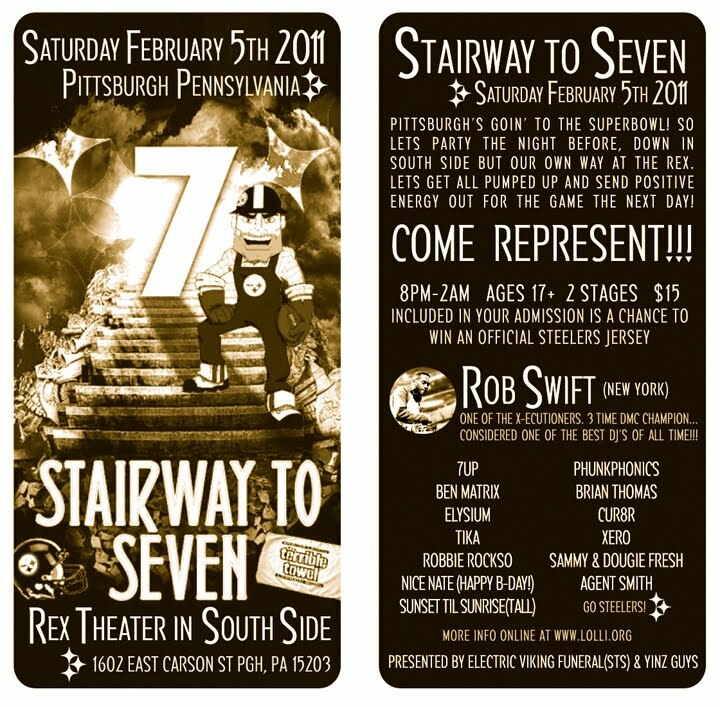 Between all the music, art and community events going down in Pittsburgh we will be busy until next football season anyway. Either way you look at it Pittsburgh is gonna be just fine! Get em while they're hot! 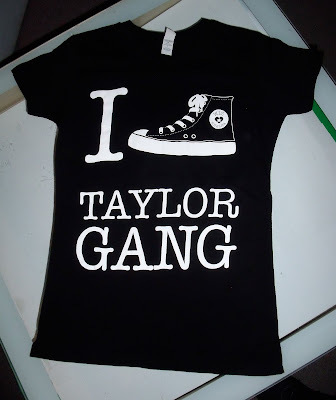 We just got a load of women's "I [love] Taylor Gang" tees in now. If your a Wiz Khalifa fan you better grab your tee asap because there isn't many left. Check out TIMEBOMBSHOP today and get your women's Taylor Gang tee. Cloud Kicker is a fresh new brand at TIMEBOMBSHOP. "Beyond Limits + Standards." 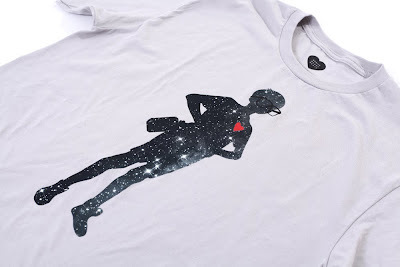 Since not everyone gets to be an Astronaut when they grow up, they decided to launch our own clothing company. It all started with their trademark "Cloudie" logo. The distinctly branded cloud character has sneakers for eyes and a smile. Hence, the name "Cloud Kicker". As eighties babies, they spent the first decade of their lives in neon windbreakers and kicks. That's their vision for the future of fashion not far removed from their early days. Consider them preservationists with their minds focused on the future. While the labelers just imitate and recycle retro styles, they've consistently remained unique. Check out the quick-strike above titled "stealers" we have it available in BLACK and YELLOW now at TIMEBOMBSHOP. Limited supply so don't sleep on these! THIS JUST IN! We just printed these up last night and they are super limited. This shirt was made famous by Mac Miller in the Kool Aid and Frozen Pizza video. Grab one today at TIMEBOMBSHOP. Come join us in store Thursday Feb 3rd till Saturday Feb 5th from 12pm-8pm and get 45% off the entire store! 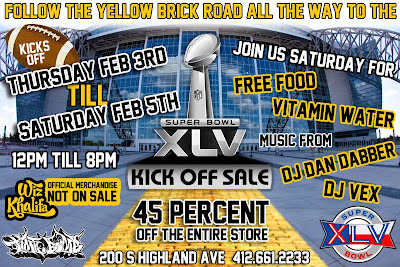 Super Bowl 45 is going to be a good one you won't want to miss it or this sale! 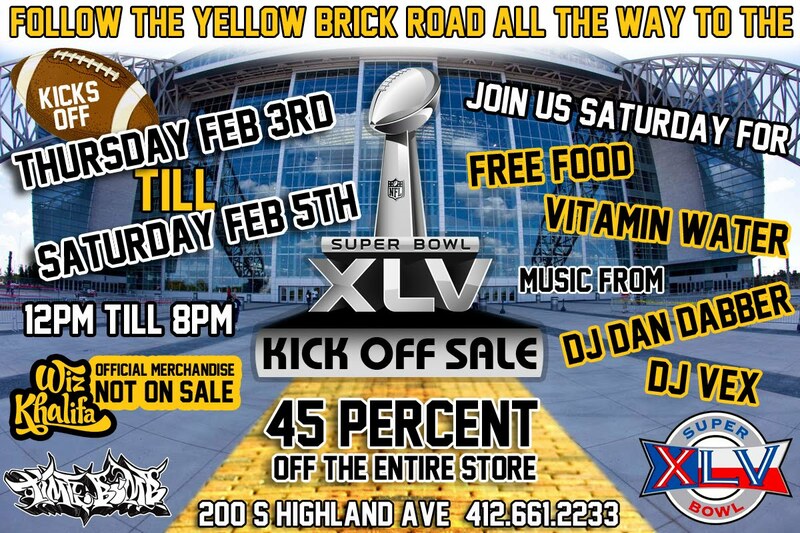 We will have refreshments and DJ Dan Dabber and DJ Vex on Saturday so make sure to stop down and grab some gear! See you soon and GO STEELERS! You've heard the rumors? It's true.. we are your one stop Wiz Khalifa official merchandise retailer. Coming straight from the source in PITTSBURGH you now can get all your Wiz Khalifa needs here at TIMEBOMBSHOP. We are Taylor Gang approved so keep checking back for more merchandise and everything Wiz. 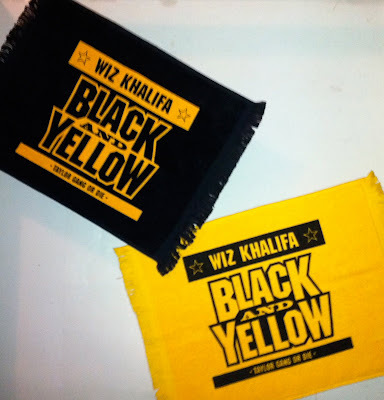 This just in.. Black & Yellow Wiz Khalifa towels! 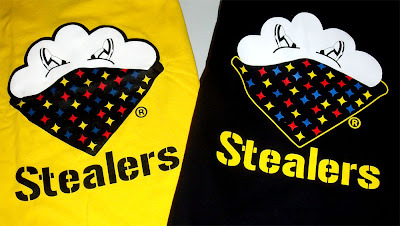 These are special edition and were seen in the Black & Yellow video. You can grab a BLACK or YELLOW one today at TIMEBOMBSHOP. 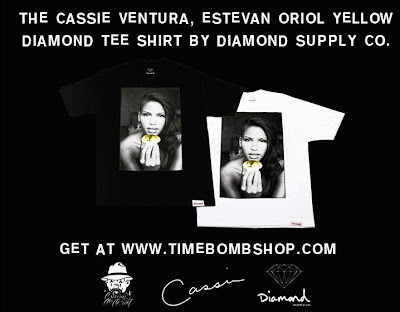 Get the limited Cassie Ventura X Estevan Oriol X Diamond Supply Co Yellow Diamond tee now at TIMEBOMBSHOP. This is a limited edition tee and we only have a few so make sure to get your black and white today before they are out!